As a member of the Leadership Team, the HR & Administration Manager will oversee DHF’s human resources and administrative operations. The HR & Administration Manager will play a critical role in enhancing DHF’s organizational performance as they expand their scope and reach. Develop human resources and administration, training and recruiting, enhancing professional development, compensation and benefits, and performance evaluation. Oversee consistent, streamlined recruiting process. Develop and oversee new employee orientation program. Establish and manage a comprehensive training program to educate employees regarding staff tools, policies and procedures. Review and process payroll on a biweekly basis. Work closely and transparently with all external partners including third party vendors and consultants. Oversee administrative functions as well as facilities to ensure efficient and consistent operations. Ensure timely legal compliance by monitoring and implementing applicable human resource state and federal requirements. Provide weekly and monthly written management reports to document activities, updates, and results via conference calls and timely updates. 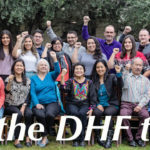 Work closely with DHF’s Bookkeeper and Accountant to manage organization cash flow and forecasting, accounts payable, accounts receivable, prepare monthly financial reports, annual tax preparations and audits. Analyze and present financial reports in an accurate and timely manner and oversee all financial, project/program and grants accounting. Assist in the annual budgeting and planning process; administer and review all financial plans, budgets; monitor progress and changes. Oversee grants and financial management reporting system. Minimum of a BA, ideally with an MBA or related degree. Demonstrated experience in human resource management. Experience in working with LGBTQ and Latino community and demonstrated cultural competency. Commitment to organization wide training programs that maximize individual and organization goals including best practices in human resources activities. Minimum five years of overall operational management experience. The ideal candidate has experience of final responsibility for the quality and content of all financial data, reporting and audit coordination. Ability to translate financial concepts and to effectively collaborate with- programmatic and fundraising colleagues. A successful track record in setting priorities; keen analytical, organization and problem solving skills which support and enable sound decision making. Written and spoken proficiency in English, Spanish is a plus. Excellent interpersonal skills (one on one and group dynamics), strong listening skills, and humor. Ability to adapt quickly to changing situations. 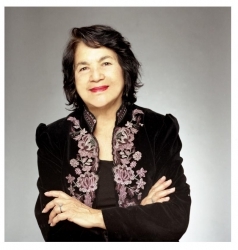 Submit a resume, three professional references and cover letter detailing your interest and qualifications for the position, via email to daguilar@doloreshuerta.org. Include “HR & Administration Manager” in the subject of your email.